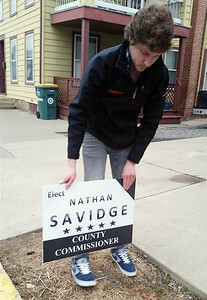 Nathan Savidge, candidate for Northumberland County Commissioner, puts out signs on April 8th. 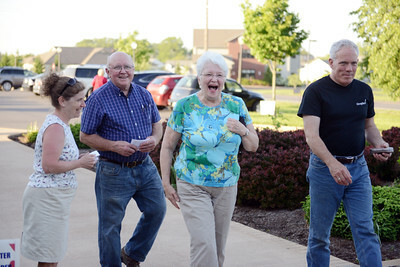 Union County Auditor candidate Carol Manbeck, of Buffalo Township, talks about the election with Butch and Peggy Fisher, of East Buffalo Township, outside the Union County Library in Lewisburg on Tuesday evening. 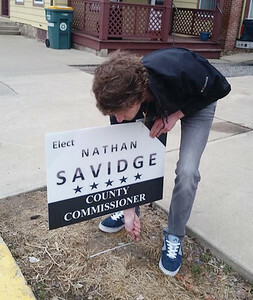 Lisa Seward, candidate for register and recorder, talks with a voter outside the Union County Library in Lewisburg on Tuesday evening. 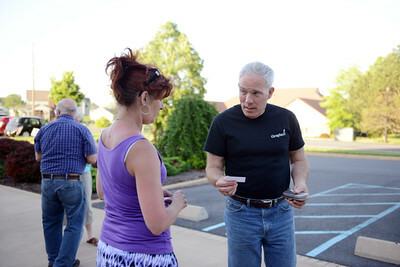 Frank Yurkoski and John Gray, both of East Buffalo Township, talk with Lisa Seward, candidate for register and recorder, left, and Carol Manbeck, candidate for county auditor, outside the Union County Library in Lewisburg on Tuesday evening. 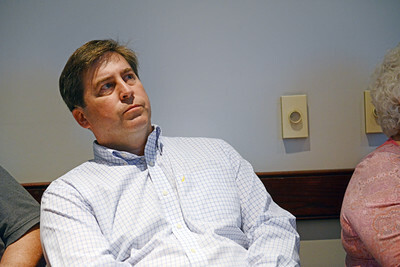 Rick Shoch watches the primary election results come in at the Northumberland County Administration Building in Sunbury on Tuesday night. 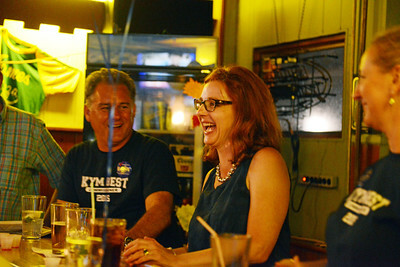 Kym Best, along with her husband Tim Bowers, celebrate after the primary election on Tuesday night in Shamokin. Northumberland County District Attorney Ann Targosnki celebrates with her husband, father, and granddaughter Alexandra Picarella, 5, in Shamokin on Tuesday night.